Once you add both iTunes and Vudu, you're done. 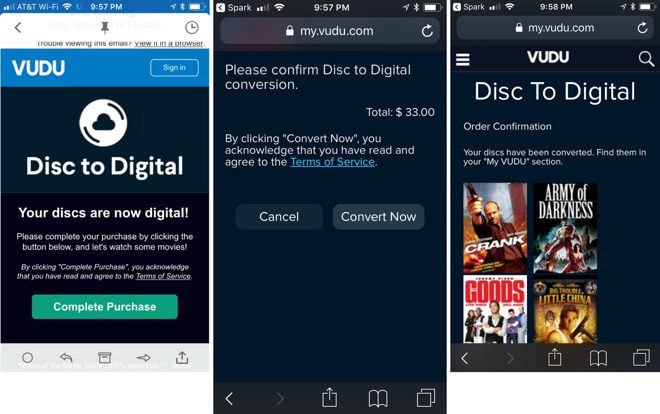 Vudu purchases — including those Disc to Digital scans you bought —will now show up in your iTunes library. 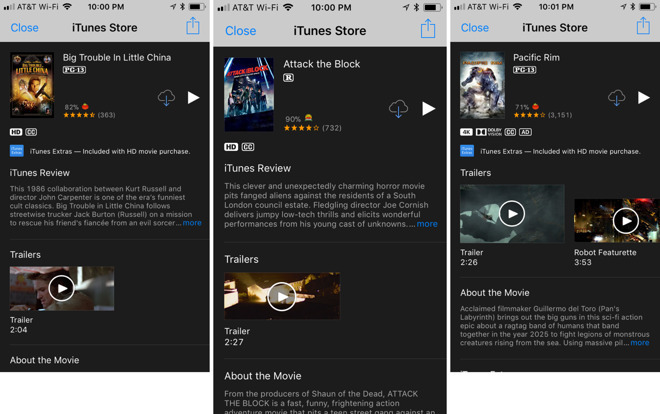 That includes the new TV app for iOS and tvOS, and it allows you to both download and stream the films directly from Apple's iTunes Store. For example, in my own library, I own an iTunes copy of Ex Machina —a film that Apple has used to promote 4K support on the new Apple TV via Twitter ads. And yet the film shows up in my library as HD-only. Then consider Logan —a film I bought on Blu-ray and then added to my digital collection via an iTunes digital copy redemption code. 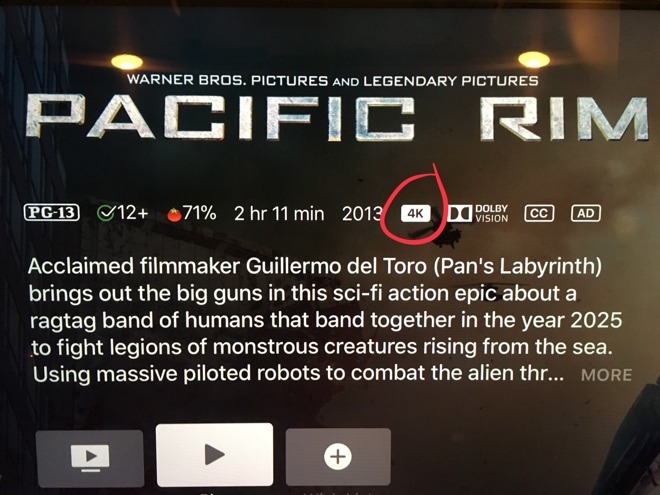 The movie shows up in my library as 4K, and when I stream, swiping downward with the Apple TV remote shows that it is, in fact, streaming in 4K. But then with Vudu, I converted a Blu-ray copy of Pacific Rim to iTunes. The film shows up in my library as having 4K support, and yet when I swipe down while streaming, it says the film is playing in HD —not 4K. Notably, legacy standard-def movies I own from old digital copy redemptions remain SD, and do not list as HD in my library. For example, I have redeemed versions of Back to the Future that remain in SD —and they accurately list as SD in my iTunes library. 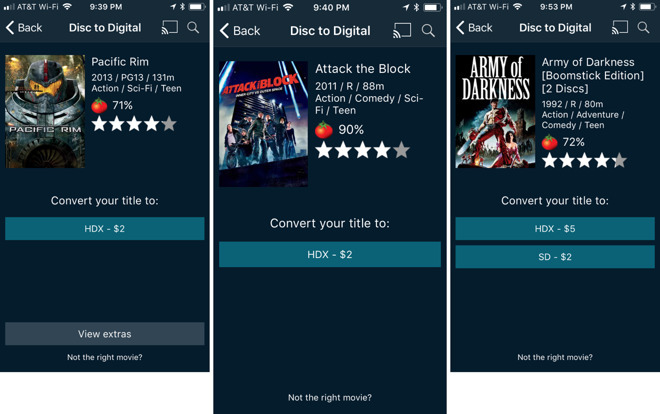 If Vudu conversions are not eligible for 4K, that's fine —just don't display them as being 4K in my iTunes library.